Sound experiments, humour and a playful relationship to musical material characterize the better part of Margo Kõlar’swork. Kõlar’s oeuvre includes almost all genres from large-scale works and songs to electronic works – the most significant field of his creation. Musical humour and sound jokes hold important place in his idiom. Poetical and sacred vocal works – choir and solo songs – form an alternative side of his production. In most vivid colours, Kõlar’s sound fantasy opens up in his chamber music and electronic works – Little Ferdinand in the Maelstrom (“Väike Ferdinand elukeerises”, 1995) for piano, flute and MIDI electronics, Toccata and Ambient (“Tokaata ja ämbient”, 2003) for flute, percussion and electronics, Obscurus (2001) for piano, percussion and live electronics, Cross-Stitch (“Ristpiste”, 2001/2006) for percussion, Old Mill (“Vana veski”, 2002) for chamber ensemble, Magic Lake (“Võlujärv”, 2003) for zither, flute and cello etc. Unusual sound juxtapositions or humorous ideas are the basis for such Kõlar’s orchestral works as Three Fishes (“Kolm kala”, 1985) for symphony orchestra and Concerto for Two Bagpipes and Chamber Orchestra (1990). The cantata Warm Room War Songs (“Sooja toa sõjalaulud”, 1985, text: folklore, Margo Kõlar) for soloists, mixed choir and chamber ensemble combines stylistic worlds of folk music and contemporary music. The more serious attitude is represented in Kõlar’s orchestral work …Only One Word… (“…vaid üksainus sõna…”, 1999) inspired by the Gospel according to Matthew, Two David’s Songs for solo voice (2008) and in a number of sacred choral works and arrangements of Estonian sacred folks songs. Kõlar has also written theatre and film music including the soundtrack for the feature film Names in Marble (“Nimed marmortahvlil”, 2002, director Elmo Nüganen) after the novel by Estonian writer Albert Kivikas. His latest works like Setting (“Loojang”, 2005) for piano and string orchestra, Evening Story (“Õhtujutt”, 2006) for nyckelharpa, saxophone and chamber orchestra and To Rise To Heaven (“Et tõusta taevasse”, 2008) for mezzo soprano and chamber orchestra are characterized by well sounding music, brightness and beauty, scarce thematic material – endeavor toward simplicity, leaving space for the listener’s thoughts and in which common traits with his film music can be found. Kõlar graduated from Tallinn Music High School in music theory in 1981 and Tallinn State Conservatory in composition under Eino Tamberg in 1986. In 1999, he obtained master degree in Estonian Academy of Music and took the doctor’s degree at the Estonian Academy of Music and Theatre in 2006. In 1986–1993, he worked as a sound engineer at the Estonian Radio, 1987–1993 as a music director in Estonian State Puppet Theatre and 1997–2001 as a composition teacher in Heino Eller Tartu Music School. From 1999 he is the docent and director of the electronic music studio of the Estonian Academy of Music and Theatre, professor since 2015. 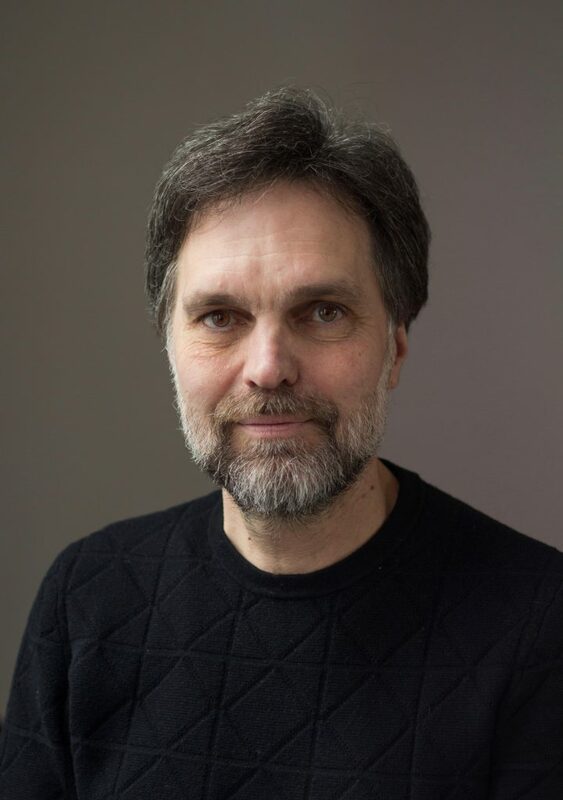 Kõlar is active also as a conductor: he has conducted Eller Sinfonietta, chamber choir Gloria (1987–2001) and from 1996, the vocal ensemble “Heinavanker” founded by himself. The cooperation with flutist Monika Mattiesen laid the foundation of multidisciplinary ensemble Cyberstudio in 2000. For his music, Kõlar has achieved several recognition: prize at the All-Union Young Composers’ Competition (1987), award for the best film music for the Names in Marble at the festival Listopad in Minsk (2003), Estonian Authors’ Society’s award for the best dramatic production music for Musketeers Twenty Years After (2002), Estonian Cultural Endowment’s Music Foundation award for the composition Song of Tower Bell and development of electronic music (2012). In 2014, Kõlar was ascribed the The Order of the White Star Fourth Class. Kõlar is also a multiple champion in kart sports in Estonia, as well in Baltic States and USSR. In 1979, he was chosen the best sportsman in car sports in Estonia. In 1983, he was given the honorary title of Master Sportsman of USSR.